FREE Tickets to the UIC Men’s Basketball Game this Friday, January 27 at 7pm. Watch the UIC Flames vs Northern Kentucky. This game is sponsored by the UIC Police Department and the UIC Athletics Department. Another FUN EVENT over at UIC. PICK UP YOUR FREE TICKETS AT THE POLICE TABLE JUST INSIDE THE ENTRANCE. PARKING IS $5 AT THE 1100 W HARRISON PARKING STRUCTURE. 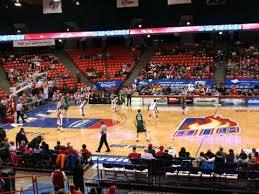 The game is held at the UIC Pavilion which is at the corner of Racine and Harrison.